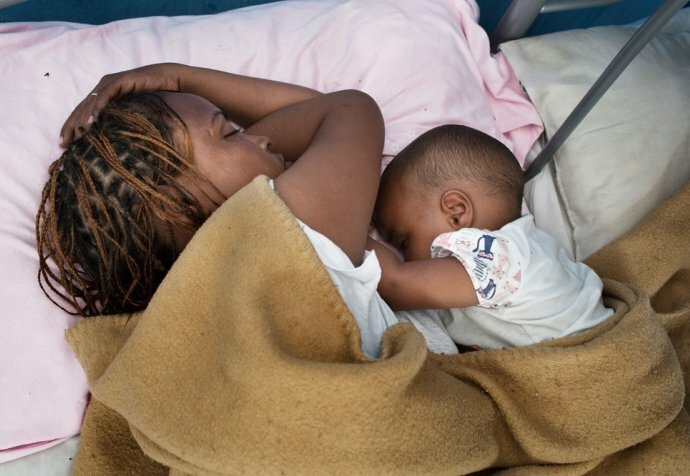 Gebreel has been sleeping rough under a bridge in the northern Italian town of Ventimiglia for a month, desperate yet so far unable to cross the border into France. Like thousands of others of migrants who risked their lives at sea and are now stuck in Italy, he has all but run out of strength as he struggles to complete the last stretch of his journey. A 28-year-old native of the Nuba Mountains in Sudan, where his father was killed in a local conflict, Gebreel travelled to Libya in 2014 to try to make a living for his family back home. While the first three years there were hard because of the chaos consuming the country, his life became a living hell when he was kidnapped for ransom. For a year, he was held in a cold, insalubrious basement, where his kidnappers shot him in the foot, leading to the amputation of his toe. Because he couldn’t pay his kidnappers the sum they were demanding, they tortured him and ordered him to contact his family. But as Gebreel was the sole provider in the family of six, no one was able to help. Mercilessly, his kidnappers kept up the pressure, putting out cigarettes on his body, and forcing him to kneel until the skin on his knees peeled off. In 2016, more than 180,000 asylum seekers reached Italy by boat, setting a record. 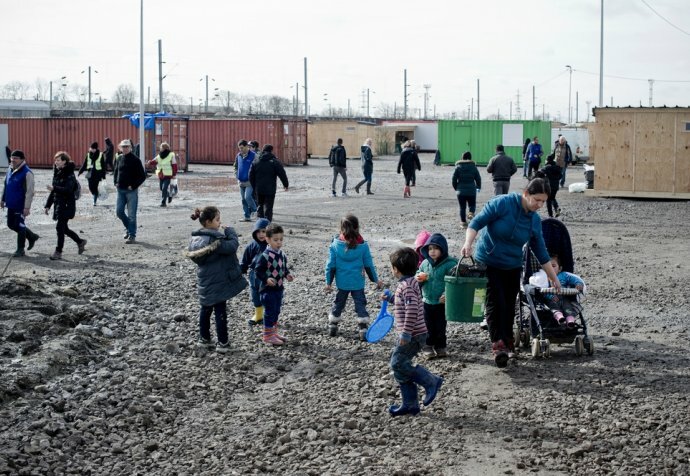 So far, this year 94,391 people have arrived on the country’s shores, and many of them have already either left the country, or have tried to cross the border into France. Even though Italy has seen record numbers of arrivals for several years now, it is increasingly clear that the country has been left largely alone to cope with the issue and there has been a remarkable lack of solidarity and shared management of migration reception among other EU Member States. Whatever the reasons, the result we see is that Italy’s reception system is failing to meet the needs of the most vulnerable migrants, and many feel unwelcome there. It is also very difficult for migrants, particularly the most vulnerable, to integrate in Italy.
" I am sleeping under the bridge like an animal, and I will have to stay here for who knows how long. I am so sad"
As a consequence of the ever stricter border policies in place in Europe since the marked sharp increase in migration from 2015, the Italian town of Ventimiglia has turned into a main transit point for people trying to continue their journey northwards. Many migrants, including women, their children and unaccompanied minors, arrive here directly after making a long journey from the shores in southern Italy to the north. Others come to Ventimiglia after having spent some time in a reception centre waiting to hear back about their asylum claim, or after having received a denial of their asylum demand. This part of the journey is riddled with difficulty, and many migrants are picked up by police on the French side as they attempt to cross the border. They are then sent back to Italy, either to reception centres, or moved to police stations. Once they are released, they will often try again to cross into France, again and again until they succeed. According to migrants’ testimonies, there are two ways into France from Ventimiglia. The stronger ones pay a smuggler to walk along a risky mountain trail, to arrive in the French town of Menton. Some walk along a highway at night that is so dangerous it has become dubbed the Pass of Death. Most of the migrants must try several times before they succeed, as they are pushed back by French police. They sleep at the foot of the mountains, on the Italian side, waiting for nightfall before they try again. In addition, some migrants try by walk to cross the railway tunnel from Ventimiglia to Menton — as dangerous a route as the highway. Since September 2016, 10 people have died in the attempt of reaching France from Ventimiglia. Others, particularly families, try to make the journey to the French resort town of Nice by train. But they are often found out and pushed back, forced to try again until they succeed. Volunteers try to make the lives of migrants in transit a little easier. The San Antonio alle Gianchette Church in Ventimiglia, for instance, is currently hosting and feeding some 100 people — migrant families with children and particularly vulnerable people. Here, they receive medical treatment thanks to a volunteer doctor, as well as an Médecins Sans Frontières midwife, psychologist and cultural mediator who visit the church daily. Médecins Sans Frontières staff also visit the migrants living under the bridge and since the beginning of this year, we have visited 1,860 patients. With the summer season, arrivals have increased, and more and more people have reached Ventimiglia, not finding shelter. An average of 150 people, with peaks of 300, have slept along the River Roya, in inhumane conditions; there is no running water, no services or latrines or any electricity. On the French side, civil society activists have built up their local response capacity to assist migrants arriving through the mountains. But they too have come under pressure for their actions; in 2016, several activists faced prosecution for having hosted or assisted undocumented migrants coming from Italy.